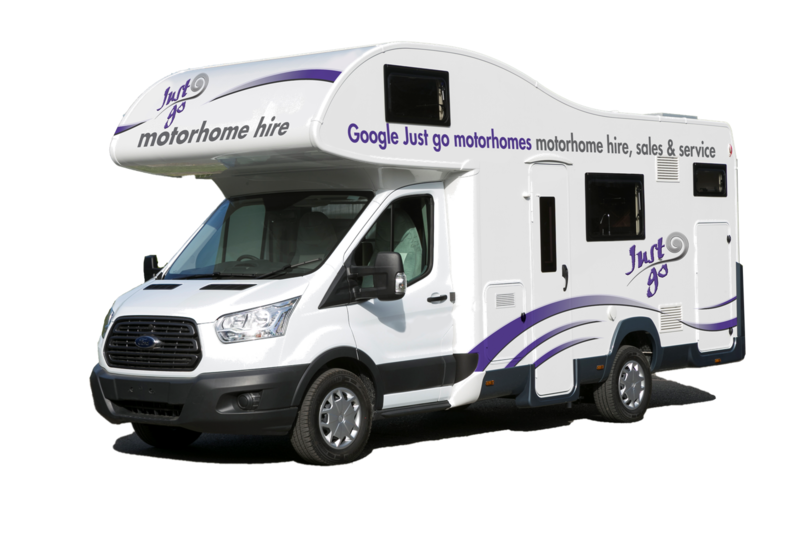 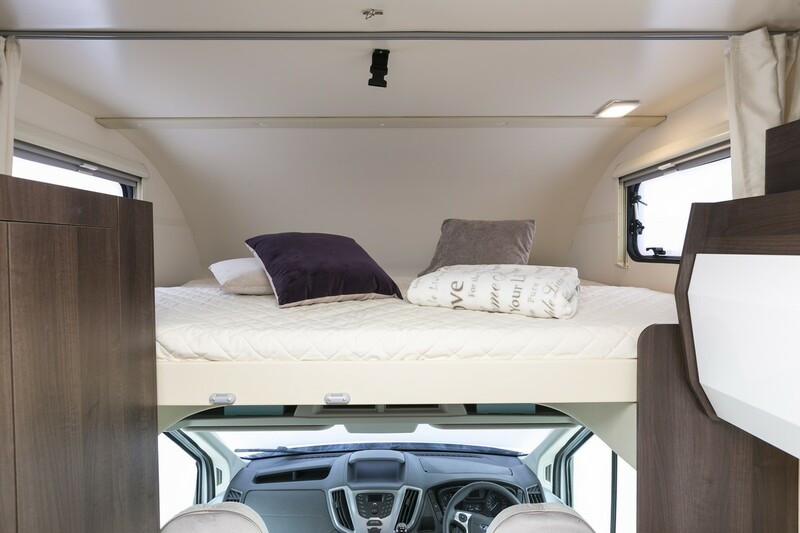 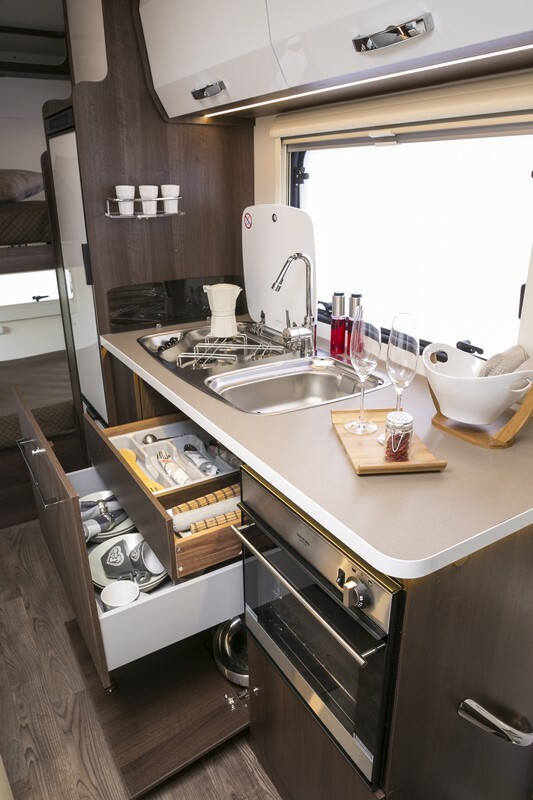 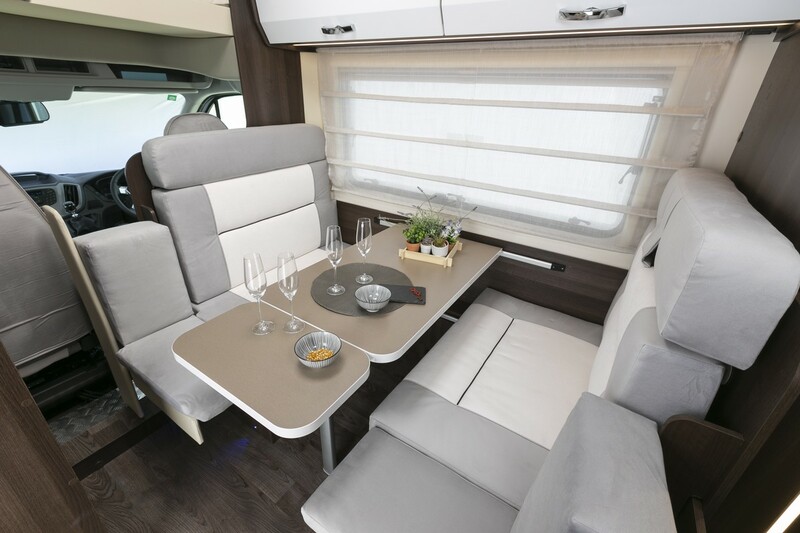 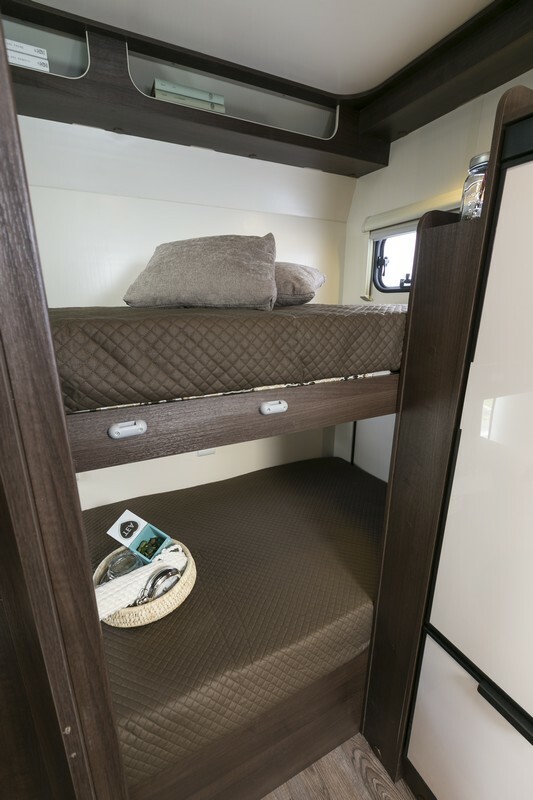 This 6 berth motorhome has spacious bunk beds plus two other double beds making it a winner with families and friends going camping or to festivals. 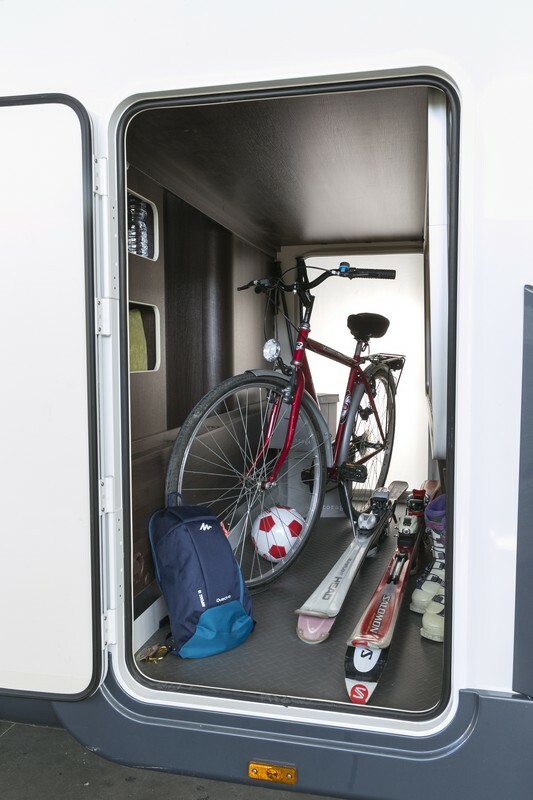 It also boasts a large storage locker great for skis and other outdoor equipment. 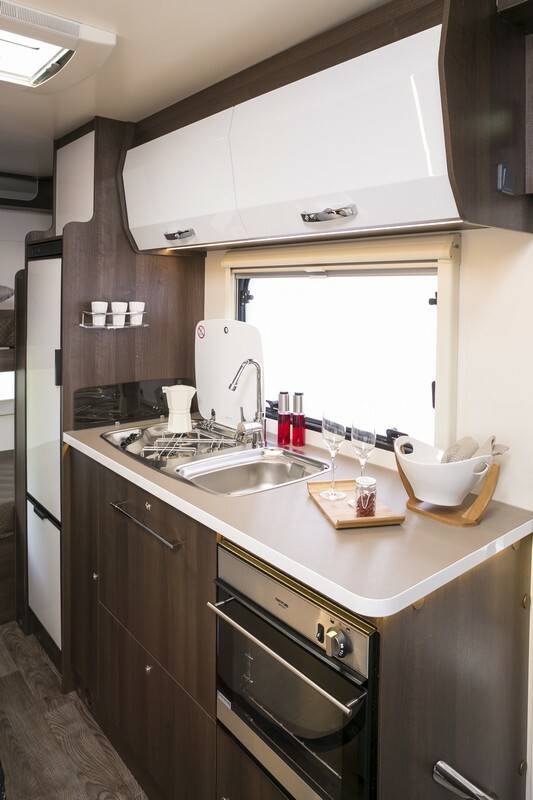 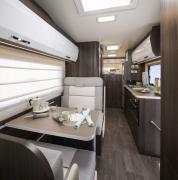 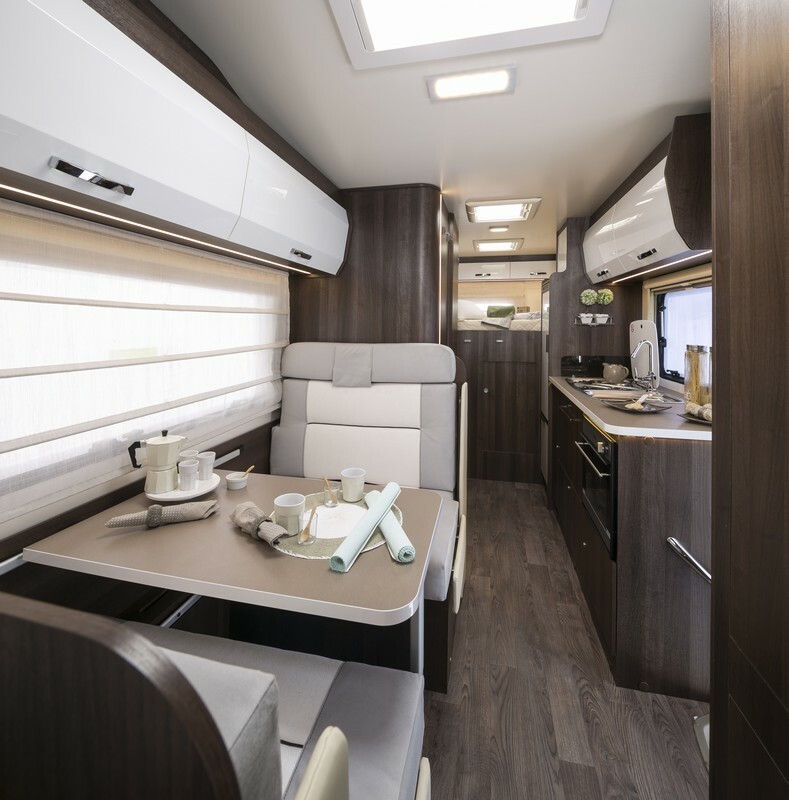 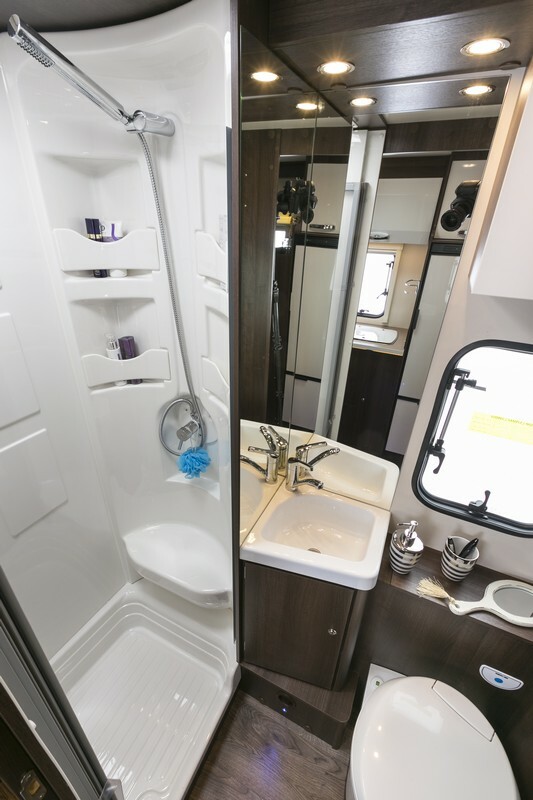 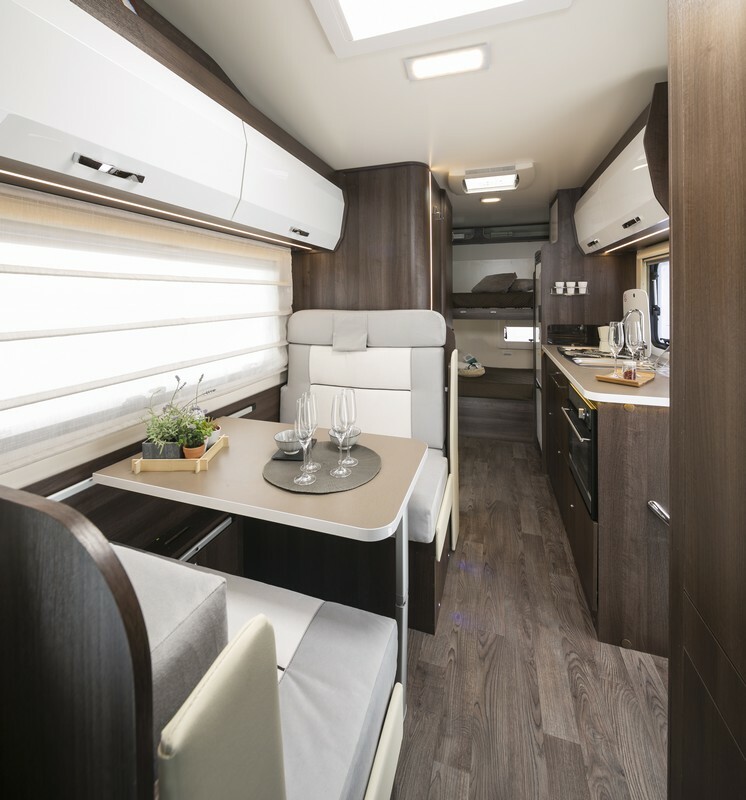 This motorhome comes with 100 watt solar panel, TV and Status aerial, full colour reversing camera and a galley kitchen with oven and fridge.